New Delhi and Beijing will do good to distance themselves from their own versions of doomsday prophets. The one-of-its-kind Doklam standoff between China and India underlines New Delhi’s public-diplomacy failure, but it is unlikely to escalate any further. Firstly, to assure the country that the issue is being handled effectively and to dispel the notion that India has bitten off more than it can chew. Secondly, and more importantly, it is seen as an effort to counter the shrill public opinion based on poorly informed public debates and media reportage that is precluding New Delhi's ability to manoeuvre behind the scenes to restore the border status-quo. New Delhi is clear that while it will remain firm in its stance at the border areas, at the same time it will use and leverage every available diplomatic option to mitigate the situation. Incidents of standoffs between India and China along the nearly 3,488km Line of Actual Control (LAC) or the de-facto undemarcated border between India and China are not new. These incidents have been happening for long and there are well-defined mechanisms between India and China to handle and defuse such tensions. But the Doklam standoff is different from previous ones. For one, the standoff is not in the territory shared or claimed by India and China — it involves a third country, Bhutan. The India–Bhutan friendship treaty makes it obligatory for India to help Bhutan. And two, this standoff involves the only ratified border treaty between India and China, the 1890 border agreement. Getting China of today or of the past to delineate and then demarcate the border has been difficult. The British, despite several attempts couldn't settle their borders with China. In the 19th century, unclear and therefore wary of Russian designs, London repeatedly propped up China to keep Russia out of Tibet. From 1846 and 1914, the British made five attempts to demarcate the boundary. Each attempt failed except the 1890 treaty that defines the border in this area. However, the border was never demarcated on the ground. In 2012, China agreed to demarcate the boundary on the ground at the Special Representative-level talks. This tripartite agreement among British India, Bhutan and Tibet is the only border treaty that is recognised and accepted by both sides. It is unlike the 1904 agreement between Tibet and British India which was marked by controversy, protest by the Chinese and subterfuge on part of the British. The 1890 treaty clearly spells out the points through which the border should run as per the watershed principle. The Doklam plateau is used by shepherds of Bhutan and Tibet to graze their cattle, but neither cross the Torsa Nala. In the present case, the India Army moved into Doklam after Bhutan requested for help when old bunkers used by the Bhutanese Royal Army to maintain vigil were destroyed and its soldiers were forcibly removed, most likely at gunpoint, by the Chinese PLA. Taking soldiers at gunpoint isn’t the norm along the most contested yet most peaceful border in the world. Bhutan leaned on India for help. The India–Bhutan friendship treaty makes it obligatory for India to help Bhutan. And unlike past occasions, this time the Indian Army was able to mobilise fast and amass a body of troops, stopping China in the tracks. To the east of Torsa Nala stands the Jampheri ridge. The Jampheri ridge is in Bhutan. And, whoever controls the ridge has an advantage over the other. Therefore, maintaining the status quo is important for India. India fears that the current move of the Chinese PLA to build a road through the area is aimed at threatening the Jampheri ridge. Why was Indian interference necessary? Chinese assertiveness in the South China Sea — where it has reclaimed land from the sea in the Spratlys and another on Woody Island in the Paracels islands to set up forward military bases — has gone largely unchecked. The global community has only sought "freedom of navigation at sea" under the UN mandate. If the cartographic nibbling in Bhutan goes unchallenged the message to smaller countries is simple: it is better to submit to China’s wishes because no one can stand up to China. Bhutan’s population is less that the standing military of China. The fact that China is trying to eat into Bhutanese grazing ground needs to be highlighted. The fact that India hasn't been able to raise awareness about the aggression on Bhutan by China is a failure of its public policy diplomacy. It must be highlighted that China is the aggressor here. It is trying to bully a tiny country. And, India has only rushed to the help of Bhutan. South Block should have exerted itself more to highlight that it in Bhutan at Thimpu’s request. The fact that Chinese action amounted to cartographical aggression on Bhutan — a small, peace loving Himalayan kingdom that cannot defend itself against China — should have been stressed more vigorously. The vast South Block machinery needs to draw lessons from this incident and take corrective measures to prevent a repeat. Today’s narrative — of yet another border dispute between India and China — needs to be changed. How and when will the stalemate end? Despite sharp and harsh statements from Beijing and angry retorts by New Delhi, back channel talks are on. PM Narendra Modi and President Xi Jinping met in Hamburg, Germany this month. And, during the standoff as many as four union ministers toured China to meet various prescheduled commitments. 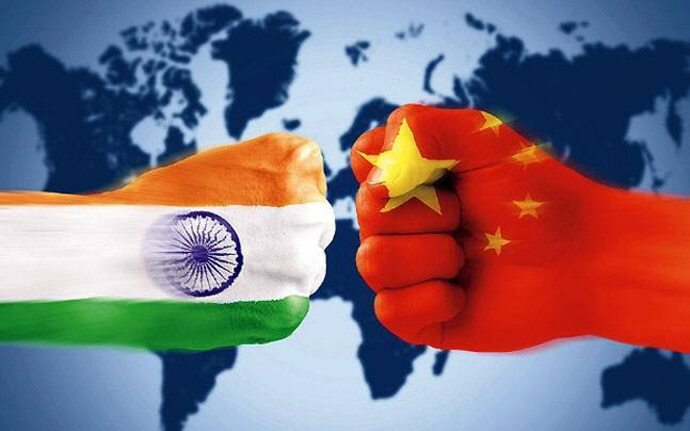 National Security Advisor Ajit Doval, who is also India's Special Representative on Border Talks with China, will be in China in the last week of July for the BRICS NSA-level dialogue. In other words, neither side has raised the standoff to a strategic level. Most importantly, the Border Defence Cooperation Agreement (BDCA) of 2013 that spells out de-escalatory measures to thwart military face-offs along the LAC between India and China covers LAC, it doesn’t expressly mention or deal with the borders with third countries — in this case Bhutan. And, yet, in the month-long standoff the protocols agreed to for a peaceful resolution of the border dispute have been respected to and extended to Bhutan. It underlines that both nations want to behave like mature partners. The ties between two nations, especially those who share boundaries, are never peaceful. The history of Europe and its many wars in 17th, 18th, 19th century teach us that. New Delhi is pragmatic. There is no reason to assume Beijing isn’t equally pragmatic. Therefore, the situation is unlikely to escalate. Like India, the Chinese leadership too has political compulsions. The standoff will continue till each comes up with acceptable reasons and conditions to restore status quo in Doklam plateau. Till then, scaremongering, unfortunately, will continue to be good business. New Delhi and Beijing would do good to distance themselves from their own versions of doomsday prophets. Also read: Who is afraid of the Chinese dragon? Editor, India Today TV. Covers security and diplomatic issues.